The illustrious 22-year career of Martin Brodeur is coming to a close. He will officially announce his retirement at 10:30 AM on Thursday at the Scottrade Center, and will then join the Blues front office, per reports. His entire playing career spanned 3 decades and only 2 teams, but the effect he had on the game will last a lifetime. While his Hall-of-Fame playing career with the New Jersey Devils is well documented, with 1 Calder Trophy, 3 Stanley Cups, 9 All-Star appearances, 4 Vezina Trophies, and 5 times being a part of the winning combination for the William M. Jennings trophy (fewest goals allowed in the NHL by a team during the regular season) all coming while with the Devils club, it’s his brief time with St. Louis that may be the biggest brow raiser his fans have witnessed. Martin Brodeur is expected to join the St. Louis Blues front office after the announcement on Thursday morning, and while his official title is still up in the air, he will be in a management position at least through the end of this season. After the 2014-15 campaign ends however, Brodeur’s future in the Gateway to the West will once again be up in the air. Though he will be around to help the Blues fight for a Stanley Cup this postseason, fans should expect him to reunite with the team he bled for over such a long period of time, the New Jersey Devils, afterwards. The club has long stated that Marty will be a Devil for life, and is welcome back to the organization at any time, so the move is to be expected. 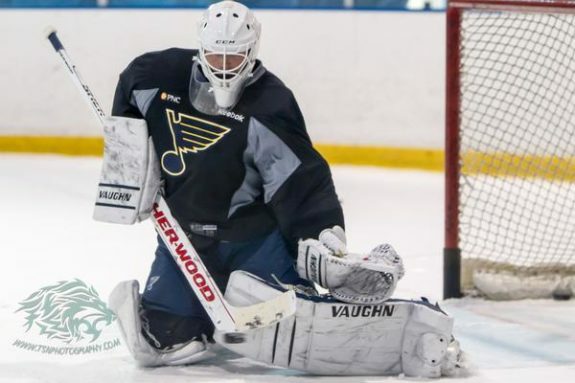 Given his history with the Devils, Brodeur’s stint with the Blues organization may still prove to be brief in the long run, but as his mark on the hockey world will long linger, so will his mark on the St. Louis Blues. Marty was able to record 3 wins (to give him 691 on his career) and his 125th shutout as a member of the Blues, boasting his already insane records to even greater heights. He will be an invaluable piece to the Blues championship puzzle as long as he’s in town, and will provide unmatched advice for Blues’ organization members of all levels along the way. 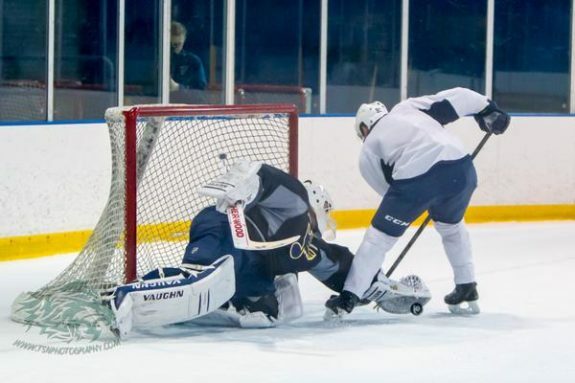 Though many fans will miss his physical presence on the ice, they are left with the original tandem they started the year off with, the more than capable tandem of NHL All-Star Brian Elliott and Reigning AHL Goaltender-of-the-Year, Jake Allen. With Marty calling shots from up top, the offense finding its rhythm and balance, and the Elliott/Allen tandem manning the nightly nets the St. Louis Blues are looking more primed and ready to make a true Cup run come April than they ever have been before (and hey, if Ells or Allen goes down, he’ll most likely be hopping on the ice to fill that void). Though he may only be with the Blues for a brief time, fans across the St. Louis area welcome Marty back to the organization, and hope he continues to share his wealth of knowledge about the game to get the Blues to their first Stanley Cup in the franchise’s storied 48 history before returning ‘home’ to mentor the Devils’ future.